Many conditions can cause knee pain when stair climbing. Pain in the front of the knee/knee cap is a common complaint from knee pain suffers when they climb or descend a set of stairs. Stair climbing places additional stress on injured knee tissues such as tendons and cartilage. Patellar tendinitis can cause knee pain when climbing stairs. 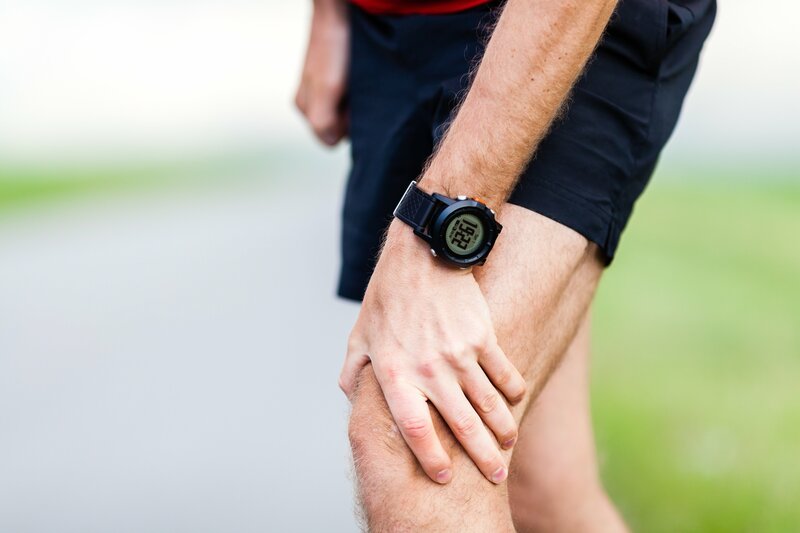 Patellar tendinitis is a painful condition and can be debilitating. The patellar tendon connects the patella ( knee cap ) with the larger bone of the shin ( tibia ). Knee bursitis can cause knee pain when climbing stairs. Bursitis is inflammation of a bursa ( i.e. fluid-filled sac near the knee joint ). A bursa lies between muscles or tendons and bone and aids in reducing friction during movement. Each knee has 11 bursae. Although any of these bursae may become irritated/inflamed, the bursa that lies over the knee cap and the bursa on the inner side of the knee, but below the knee joint, are the most frequently affected. Common signs and symptoms associated with knee bursitis include an area of the knee that’s warm to the touch or swollen, pain and tenderness when pressure is applied to the affected area and anterior knee pain when stair climbing. Chondromalacia patellae can cause anterior knee pain when ascending stairs. Chondromalacia patellae is the weakening and degeneration of cartilage on the underside of the kneecap. Often times, the kneecap is not tracking properly when the knee is bent, so the knee cap wears done much like a car engine would if the gears were unaligned. In older individuals, chondromalacia patellae may be caused by osteoarthritis (OA) of the kneecap.